Styled with orlina knit top . 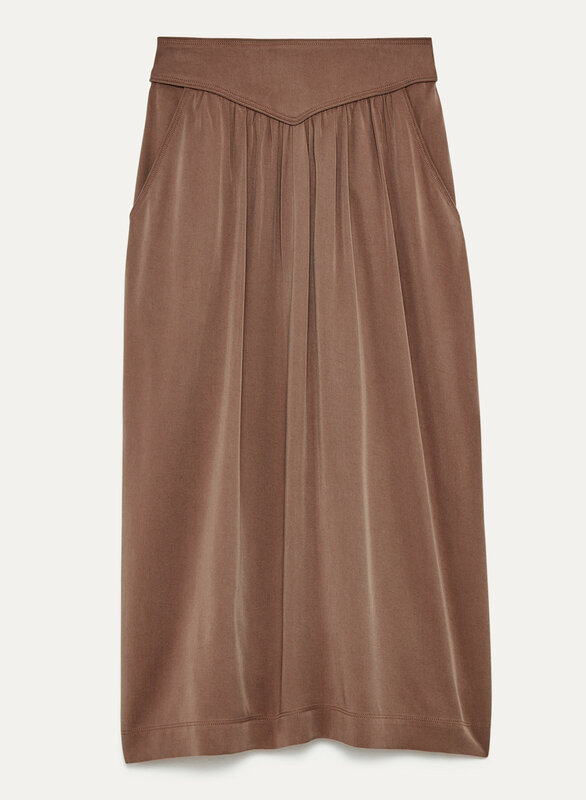 This skirt is made with beautifully soft fabric that drapes exactly the right way. 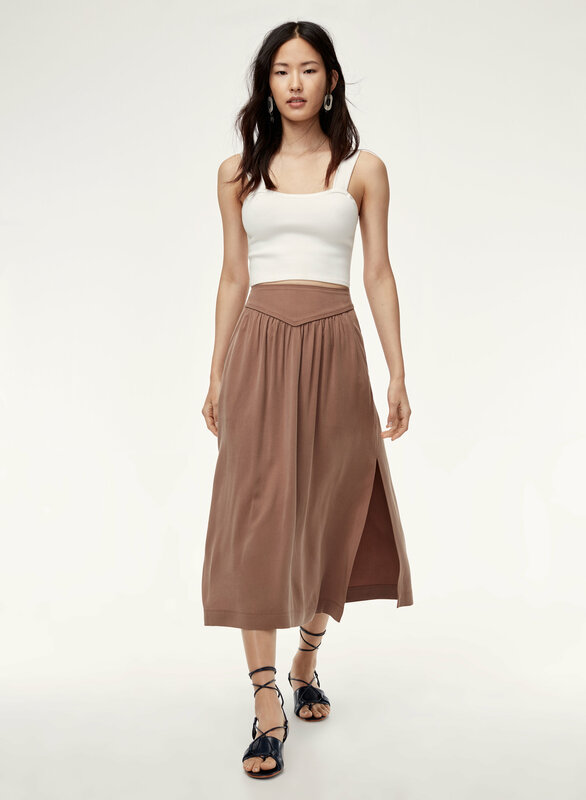 The wide waistband is accented with feminine pleats, while sleek front pockets add functionality.